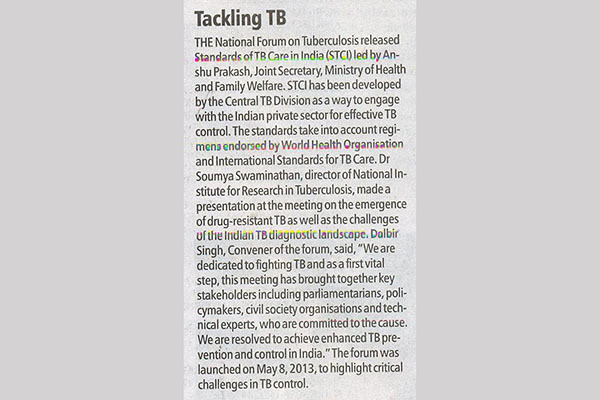 The National forum of Tuberculosis released Standards of TB Care in India(STCI) led by Anshu Prakash, joint Secretary, Ministry of Health and Family Welfare, STCI has been developed by the Central TB Division as a way to engage with the Indian private sector for effective TB control. 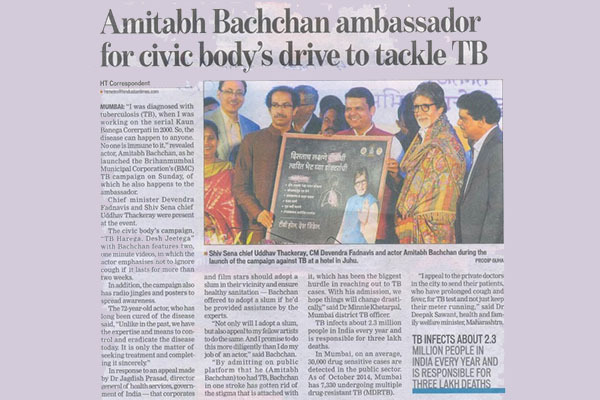 The standards take into account regimens endorsed by World Health Organization and international Standards for TB Care. 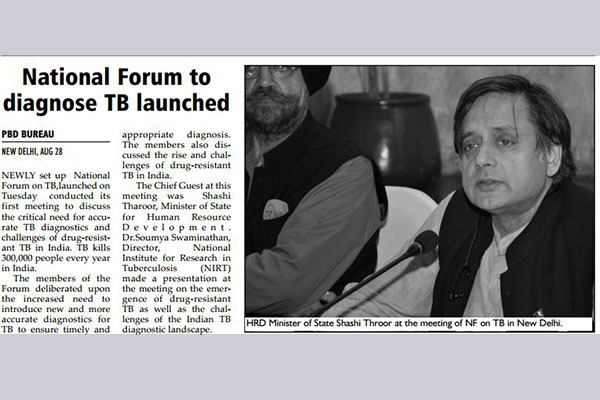 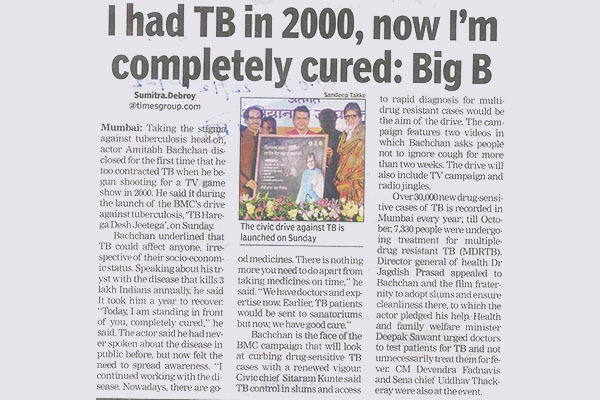 Dr. Soumya Swaminathan, director of National Institute for Research in Tuberculosis, made a presentation at the meeting on the emergence of drug-resistant TB as well as the challenges of the Indian TB diagnostic landscape.